This miniature dollhouse old style school desk with opening top is done in 1:12 scale. 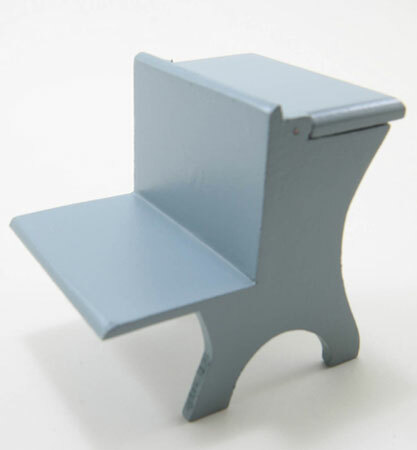 The miniature schoolhouse desk for your dollhouse is gray painted wood and measures 2" x 2-1/2" x 2-1/2". 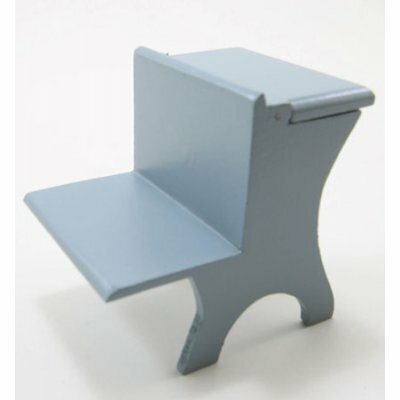 This Old Fashioned Schoolhouse Desk - Gray is supplied by Handley House Miniatures, which generally ships within 8 business day(s) of you placing your order .